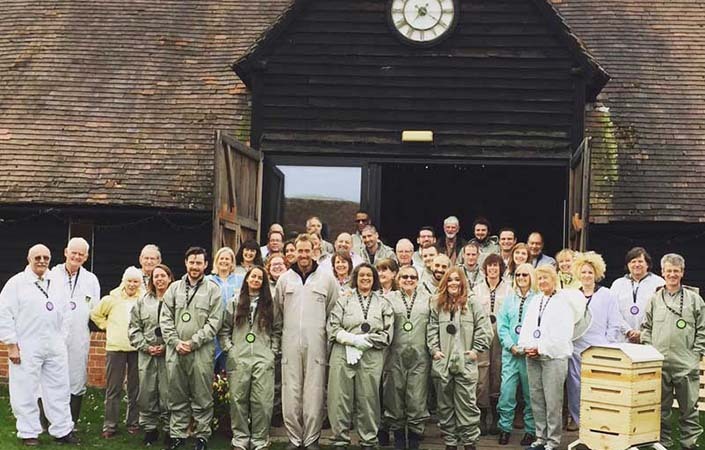 Food company Eat Natural recently hired our tables and chairs for Pollination Day with Ben Fogle and the British Bee Keepers Association. The idea behind the project is to raise awareness of the honey bee and encourage people to become more conscious of the vital role bees play and why they are so important. Proceeds from Eat Natural’s newest bar, the ‘Honey Bar’ go straight to BBKA’s Build the Buzz national research project which is funding technology to help scientists look at the lives and activity of the honey bee.